Defense Minister Avigdor Liberman addressed Gaza residents via the Coordinator of Government Activities in the Territories Major General Kamil Abu Rokun's Facebook page via the Al Monaseq website. 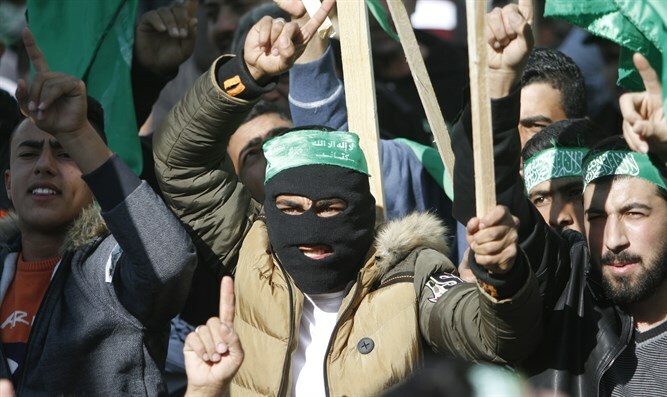 "I distinguish between Hamas leadership and the ordinary residents of Gaza," Liberman wrote. "Therefore, I decided to open the Kerem Shalom crossing and extend the fishing area back to 9 miles, as a clear message to Gaza's residents: Quiet pays off and violence doesn't pay off. The residents of Gaza have something to gain when Israeli citizens enjoy quiet and security, and something to lose when the peace is disturbed. "The people of Gaza must understand the State of Israel isn't the problem but the solution. The problem is the Hamas leadership that uses civilians as live ammunition and as human shields." Sources say PA Chairman Mahmoud Abbas is disrupting Egyptian efforts to broker a peace agreement with Gaza's ruling Hamas. Security Cabinet member Education Minister Naftali Bennett announced the Jewish Home Party would oppose an agreement based on temporary calm, allowing Hamas to rearm and regroup for the next round of terror.